Quinoa (pronounce Keen-Wah) is a grain-like crop grown primarily for its edible seeds. It originated from the Andean Region of South America where the Incas held the crop to be scared and referred to it as chisaya mama or “mother of all grains”. Most of the cultivars are grown between 2,500 m and 4,000 m. Depending on the variety, Quinoa’s optimal growing conditions are in cool climates with temperatures that range from 25°F/−3°C, during the night, to near 95°F/35°C, during the day. After harvest, the seeds need to be processed to remove the coating containing the bitter-tasting saponines. Saponine content will vary with variety, the picture above is Raw Bolivian Quinoa Royal before it has been processed. 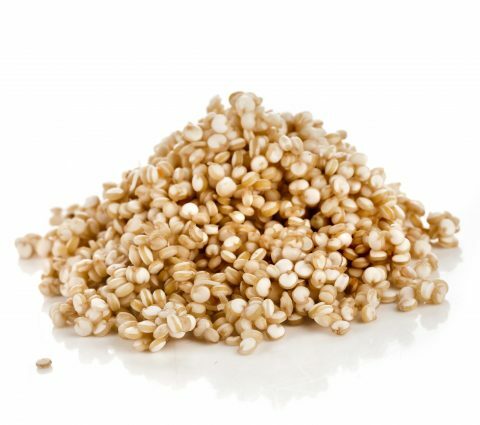 Quinoa is considered a super foodwith a Protein content exceeding 14% by mass. Nutritional evaluations of Quinoa indicate that it is a source of complete protein. Furthermore, it is a good source of dietary fibre and phosphorus and is high in magnesium and iron. Quinoa is Gluten free and a source of calcium, and thus is useful for vegans and those who are gluten and lactose intolerant. Because of all these characteristics, quinoa is being considered a possible crop in NASA’s Controlled Ecological Life Support System for long-duration human occupied spaceflights. The majority of the worlds exports Quinoa are shared between Bolivia and Peru with Ecuador growing in it potential. In the years to come other origins including Mexico, China and India will also attempt to grow and export the “mother of all grains”.